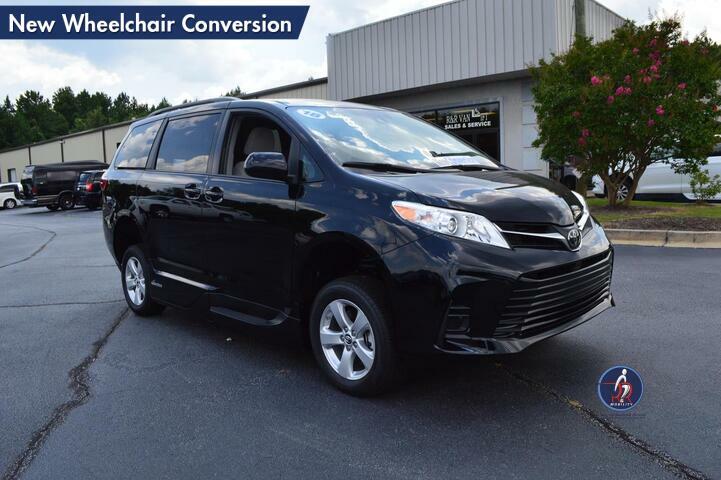 There Has Never Been a Wheelchair Mobility Van Like The Toyota Sienna With a VMI Northstar Conversion. The Access360 Technology Included in Every VMI Northstar Offers an Unbelievable Amount of Wheelchair or Scooter Entry and Interior Headroom When Applied to The Toyota Accessible Van. The 14.75 Inch Lowered Floor Provides 57 Inches of Door Clearance, and up to 61.8 Inches of Interior Head Space Providing Normal Line of Sight For Wheelchair Passengers. Of Course The Northstar Sienna Has Many Other Great Features Including an In-Floor Power Ramp and PowerKneel Tilt Suspension. The PowerKneel Lowers the Ramp Angle for Easier Entry and Exit. Each Van Comes With Remote Control Entry From The Factory Key Fob Transmitter, and One Touch Deployment From The Factory Interior Switches. You Can be Worry Free Thanks to The SURE DEPLOY Power Back-up Deployment System and Manual Back-Up Deployment System. The Removable Front Seat Bases Allow for Driving or Riding in the Passenger Position in the Wheelchair. The Van has a Manual 4 Point Wheelchair Tie-down System, and DuraFloor Rubberized Wheelchair Flooring. Sleek Interior Styling Features a Footrest for The Comfort of Rear Bench Seat Passengers That Can be Folded Away When Not in Use. Contact a Mobility Specialist Today For More Details.